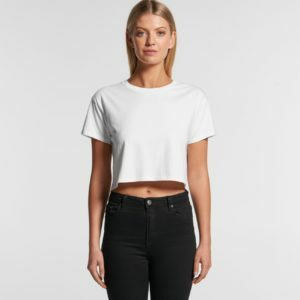 Keeping with the current trend of loose, regular fit ladies t-shirts, AS Colour have hit the nail on the head with this well constructed basic Crop Tee. You don’t need to take my word for it, as their first shipment basically SOLD OUT within the first week or so of landing! At the moment, only GREY MARLE is available across all sizes XS – XL, generally speaking WHITE and PALE PINK have been the crowd favourite colours. Don’t worry too much, they will have a new shipment in early NOV and again in early DEC, just give us a call for all the specifics and we can secure them for you ahead of time. 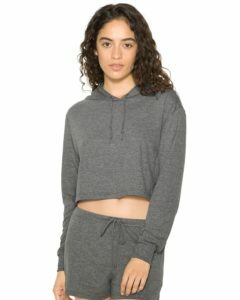 If you just can’t wait – try checking out the BELLA+CANVAS Flowy Crop Tee – similar styling, but in a poly / viscose blend. We’d recommend for this style you stick with a light shirt colour (White / Mauve or Heather Dust) and screenprint a soft waterbased ink to work with the sheer fabric type. We’re very excited about it indeed – the super soft, lightweight and comfortable fabric that you know and love from the Tri-Blend Kings – American Apparel – is now available in a really neat looking Hooded Crop Tee! This one is a great crossover fashion / fitness style that will speak to a wide audience. Even as we head into Summer, lightweight Tri-blend hoods are still a very popular item, a top seller. It’s more of a light throwover than your regular fleece hood. Available in 4 colours in ladies S – XL sizing. **hint, check out the brand new Tri-creole PINK which is sure to be a hit. Got a design idea to discuss? We have access to so many different brands and suppliers, but don’t waste your time looking through countless online catalogues. 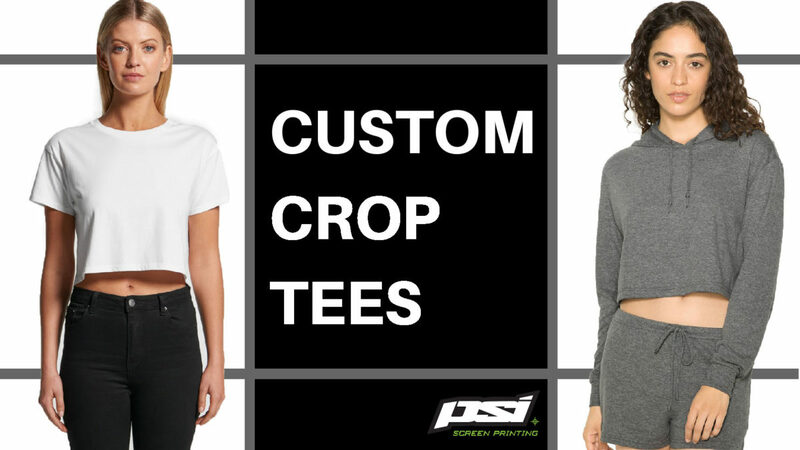 Your Apparel Consultant can do all the legwork for you to find the right style!